These high-performance rounds provide excellent reliability, consistency, accuracy. 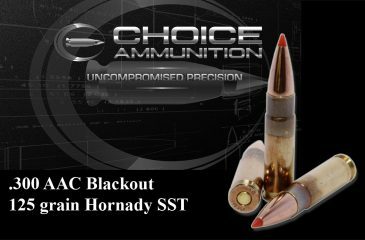 .300 AAC Blackout 125 grain Hornady SST- The .300 AAC Blackout (designated as the 300 BLK by the SAAMI and 300 AAC Blackout by the C.I.P. ), also known as 7.62×35mm is a carbine cartridge developed in the United States by Advanced Armament Corporation (AAC) for use in the M4 carbine. 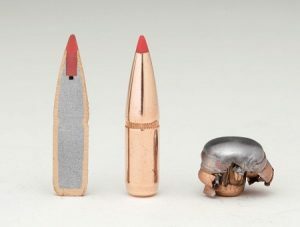 Its purpose is to achieve ballistics similar to the 7.62×39mm Soviet cartridge in an AR-15 while using standard AR-15 magazines at their normal capacities. It can be seen as a SAAMI-certified copy of J. D. Jones’ wildcat .300 Whisper. 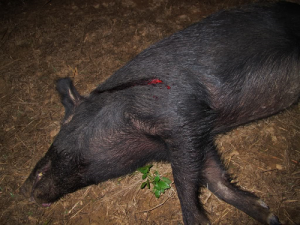 Care should be taken not to use 300 BLK ammunition in a rifle chambered for 7.62×40mm Wilson Tactical. 300 AAC BLACKOUT was approved by SAAMI on January 17, 2011. On October 23, 2011, SSG Daniel Horner of the USAMU used 300 AAC Blackout to win his 4th USPSA Multi Gun National Championship. 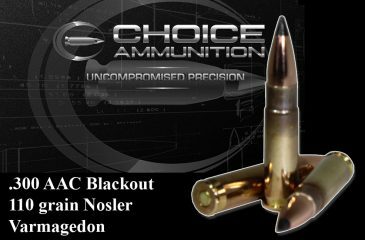 Choice Ammunition has taken our 100% hand-loading techniques and produce an extremely accurate, highly dependable round for the .300 AAC Blackout in this load. Our loading tolerances are only matched by passionate hand-loaders in their own loading rooms. Consistent seating depths, powder charges and proprietary formulas of Choice Ammunition, make this 125 grain Hornady SST round the best you can buy on the commercial market today. 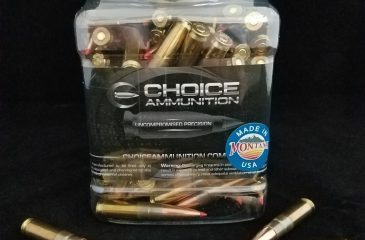 Choice Ammunition has taken our 100% hand-loading techniques and produce an extremely accurate, highly dependable round for the .300 AAC Blackout in this load. Our loading tolerances are only matched by passionate hand-loaders in their own loading rooms. 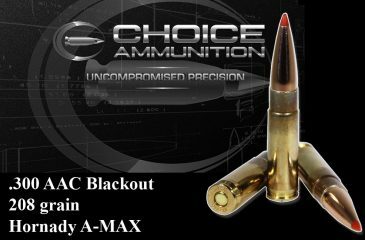 Consistent seating depths, powder charges and proprietary formulas of Choice Ammunition, make this 208 grain Subsonic A-Max round the best you can buy on the commercial market today. The angle and length of the boattail is unique to each caliber and weight of A-MAX® bullets to maximize ballistic coefficient and accuracy.